Show season is upon us with the Vancouver International Boat Show Starting up today. STS Guide Doug Elias will be at the show working retail booths for one of our sponsors, Pure Fishing. If you’re not familiar with the name Pure Fishing they are also known for their many lines of products like Berkley, Fenwick, Penn, Mitchell, Hardy, Fireline, Spider Wire just to name a few. You will find Doug at Steveston Marine or Harbour Chandler selling Pure Fishing Products so if you are looking for tackle, drop by and see Doug. 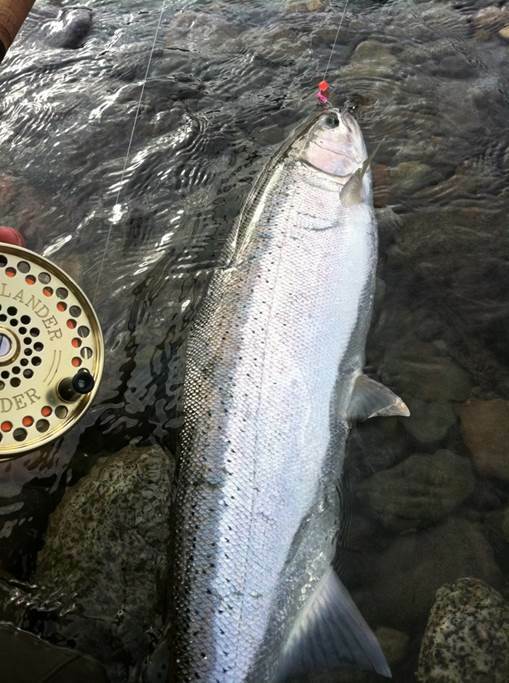 STS Guide Braeden Szlabon has been out walking the Vedder in search of Steelhead. He has managed a few to the beach and reports good visibility with water running a bit higher than normal. Expected rains towards the end of the week might bring the river up a bit more but it should remain fishable for the weekend. With higher water conditions steelhead will not hold long in the lower river so these fish are moving quickly upstream. The area between Vedder Crossing and Tamahi Bridge offers some great highwater holding spots so you might want to give this area a try. We have not been out fishing for sturgeon but have had some good reports from the lower river between Mission and Langley. Mostly smaller fish but the odd fish over 6 ft has been caught this past week. Weather is mild for January so fish are a bit more active in this type of weather. Winter baits for sturgeon would include salmon eggs, lamprey eel and dew worms. Fishing has been fair to good around the Vancouver area for winter Chinook. We had several trips out last week with some good success over in the Gulf islands. Our associates at Bon Chovy have been tearing it up over in the Gulf so if you’re in town visiting and would like to get out or getting tired of sitting around the house on weekends, this would be a good trip to consider. This summer is already getting very busy for us up in the canyon, due to our busy schedule, dates are already very limited. If you are looking for a trip into the canyon, don’t wait to book as there won’t be much left by end of tradeshow season. 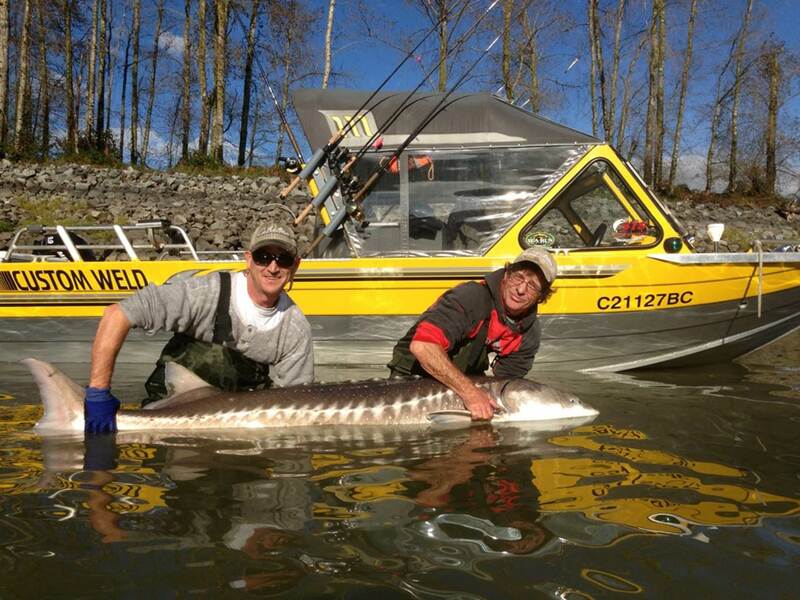 We offer two canyon tours, the 4 hours jet boat trip to Hells Gate and the full day Sturgeon adventure. Give us a call to book. 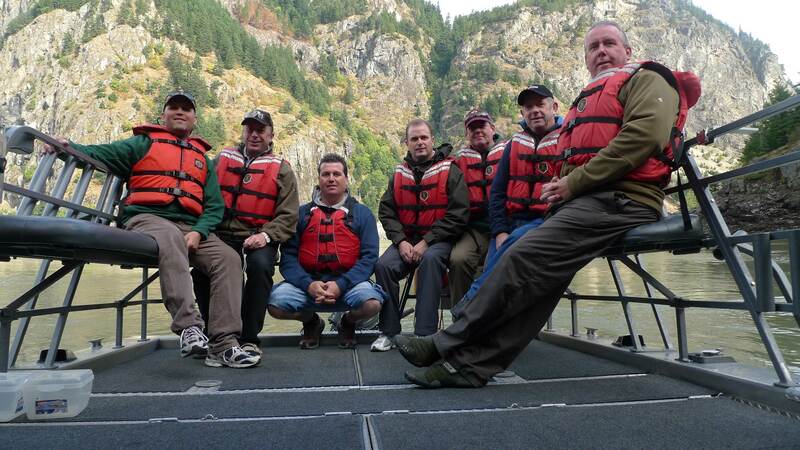 You are currently reading Jan 21 Fishing report Update at Hells Gate Jet Boat Tours Blog.